The Schwinn 270 Recumbent Exercise Bike is a really nice high end model to go with. It is called high end, but the price tag on it is actually fairly reasonable, especially considering how many great features it comes with. The Schwinn 270 Recumbent Exercise Bike comes with everything you need for a great experience. It is solid, durable, comfortable, and very versatile too. 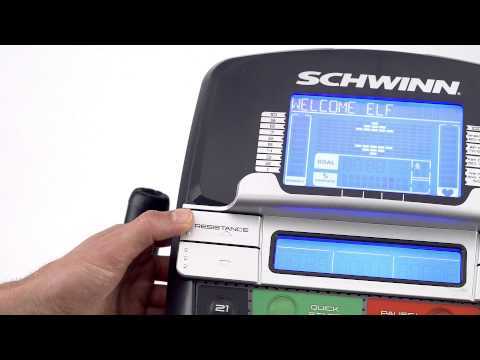 If you would like to get a better idea of what the Schwinn 270 Recumbent Exercise Bike is all about, you can always check out the little video presentation below. The Schwinn 270 Recumbent Exercise Bike does have lots of cool features that we can definitely stand behind. Let’s take a quick look at all of them. When it comes to the footprint of the Schwinn 270 Recumbent Exercise Bike, it is pretty average considering that it is a high end model. It is about in the middle between the largest and smallest models. One thing that can be said is that this is one of the lightest high end models out there at this time. It won’t take up all that much space and it is pretty easy to maneuver as well. The warranty on the Schwinn 270 Recumbent Exercise Bike is very good indeed. For the money that you are spending, at least you know that if something goes wrong, you are covered. The Schwinn 270 Recumbent Exercise Bike comes with a 10-year warranty on the frame, a 2-year warranty on mechanical parts, a 1-year warranty on electrical parts, and a 90-day warranty on labor. The Schwinn 270 Recumbent Exercise Bike is fairly easy to assemble by yourself. In fact, most of the main components are already assembled, so you only need to fit them together. All tools are included, as well as necessary connectors, plus the instructions are quite straightforward. One person should take no longer than 2 hours at most to assemble it. You can always choose to get expert in-home assembly for an extra fee if you so choose. Here is a link to the assembly instructions. There are a lot of features of the Schwinn 270 Recumbent Exercise Bike that we do really like, so let’s spend a few minutes talking about those. The fact that the Schwinn 270 Recumbent Exercise Bike comes with 25 levels of resistance is something that we really like. This means that it is ideal for people of all fitness levels and skills. The resistance type is magnetic eddy resistance, which is probably the best kind out there. The resistance is very smooth and quiet for an unrivaled workout experience. It can be easily adjusted with the computer for quick changes. It actually has 10 quick change resistance levels so you can easily go from a hard to easy level and back with no issue at all. Another thing that we like about the Schwinn 270 Recumbent Exercise Bike is that it has a fairly good seat. Now, the seat, specifically the backrest, is not very well padded, but it does have a standout feature. The backrest is ergonomically shaped and contoured in order to provide you with as much lumbar support as you need. Moreover, the backrest is also vented for airflow so your back never gets too hot and sweaty. Furthermore, the seat bottom is very well-padded to keep your behind nice and comfortable, plus it is ergonomically shaped to fit your anatomy. All in all, the comfort level on this bike is quite high. There is also the fact that it has nice oversized pedals to fit any feet out there. Yet another thing that we really like about the Schwinn 270 Recumbent Exercise Bike is the awesome display it comes with. It comes with a very high-quality dual window LCD display, which is backlit and very easy to read. The display keeps track of up to 13 fitness metrics such as speed, RPM, time, distance, calories, and more. This model is Bluetooth enabled and allows you to connect to various fitness apps on your smartphone for data export and advanced fitness tracking. The computer system on the Schwinn 270 Recumbent Exercise Bike comes with 29 different programs. It has 12 profile programs, 9 heart rate programs, a quick start program, 2 fitness test programs, 4 custom programs, and a recovery test program. The Schwinn 270 Recumbent Exercise Bike also comes with quite a few extras. It has acoustic chambered speakers for a great sound, plus it lets you connect your MP3 player to play your favorite music. The Schwinn 270 Recumbent Exercise Bike also comes with a nice media tray, a 3-speed fan to keep you cool, and a water bottle holder as well. It even comes with transport wheels to make moving it around easy. Another thing that we like about the Schwinn 270 Recumbent Exercise Bike is that it has a very solid frame with a full 300-pound user weight capacity. The frame features center supports and 2 integrated levelers which help to keep the Schwinn 270 Recumbent Exercise Bike very stable and make it last for a long time. All in all, this is a very durable, stable, and well-built machine that should last you for many years to come. Even the cranks on the pedals are reinforced to last for a long time. There are a couple of minor issues that we have with the Schwinn 270 Recumbent Exercise Bike, so let’s just mention those. We don’t like how the backrest on the Schwinn 270 Recumbent Exercise Bike is not padded. While we did say that we liked how it is vented and that it is ergonomically designed, it does not have any padding, which can start to hurt your back. The heart rate monitors built into the handlebars are not 100% accurate, which can definitely be a problem if keeping track of your heart rate is a big deal to you. To give you a bit of a comparison point, let’s take a quick look at some of the other high end home recumbent bike models out there. The Nautilus R616 is very similar to the Schwinn model reviewed here. More or less, besides the brand name and just a few bucks difference in price, they are virtually the same. They use the same magnetic resistance, have the same number of resistance levels, both have the same number of programs, and both even have the same type of frame reinforcement. Both models have fans, speakers, Bluetooth compatibility, and more. Which one of these you select is really a big matter of personal preference. This model by Sole Fitness is rated as one of the very best of its kind today. This model does cost a lot more than the Schwinn, but it does also have a better frame, it has better designed pedals, and the seat is a fair bit more comfortable too. That being said, the Schwinn 270 Recumbent Exercise Bike does have many more programs included, plus it does have 5 more levels of resistance. Both models come with all of the bells and whistles such as fans, speakers, Bluetooth, water bottle holders, and more. The Schwinn 270 Recumbent Exercise Bike is definitely a great model to go with. Considering all of the great features that the Schwinn 270 Recumbent Exercise Bike comes with, it really does not cost much. With 29 programs and 25 levels of magnetic resistance, the Schwinn 270 Recumbent Exercise Bike is ideal for pretty much anybody out there.